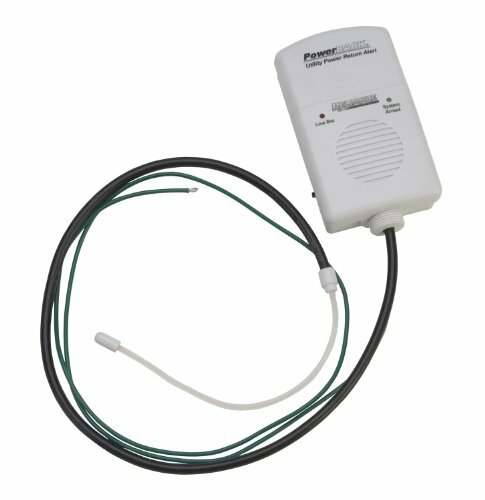 Reliance Controls THP108 POWER BACK Mains Return Alarm. Connects through a knockout hole in the top of a home load center. Voltage detector cable wraps around service entrance wire. Sounds alarm when power is restored. cULus listed. Since 1909, Reliance Controls Corporation has contributed more innovations that any other single manufacturer and has been awarded over 85 patents on manual transfer switches, time switches and accessories. Reliance Controls Corporation specializes in the manufacturing of a wide variety of electrical products. The primary product line consists of heavy duty time clocks and controls, generator accessories, transfer switches and transfer panels for portable generators. and inverters. And after over a century of innovation, Reliance Controls Corporation has built an enviable reputation for high quality, superior engineering and exceptional customer service. If you have any questions about this product by Reliance Controls Corporation, contact us by completing and submitting the form below. If you are looking for a specif part number, please include it with your message.